Visit Mickey's Not So Scary Halloween Celebration! 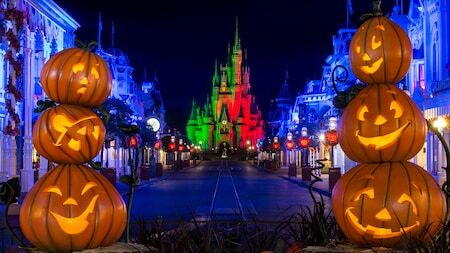 Every Fall Disney gives us a special treat, and it’s not just candy, for 26 days Mickey’s Not-So-Scary Halloween Party will be going on at Disney’s Magic Kingdom. Transforming the park into a nighttime Halloween spectacular everyone can enjoy. All of your favorite Disney characters come dressed up in their best Halloween costumes ready to party. Enjoy Disney's new parade that runs twice and a new firework show unlike no other. Guests are invited to dress up in Halloween costumes for a night of meet and greets, dance parties, fun rides, and candy. The streets are illuminated with Disney-themed Halloween decorations with pumpkins and jack-o-lanterns everywhere. It’s a great time for the family and for anyone who loves Disney. Come dressed up as any of your favorite Disney characters from movies like Avatar, Star Wars, Moana and more! This one-of-a-kind costume party defines the true meaning of Halloween. There’s trick-or-treating along with ghosts and goblins running through the streets. It’s a limited chance to experience Disney and Halloween in a whole new way. Ready to visit Disney World on your Florida vacation? Contact us for discounted tickets and vacation packages! Gaylord Palms ICE! is returning to Orlando! This year Orlando's Gaylord Palms hosts a new theme for 2017 is ICE! featuring Christmas Around the World. 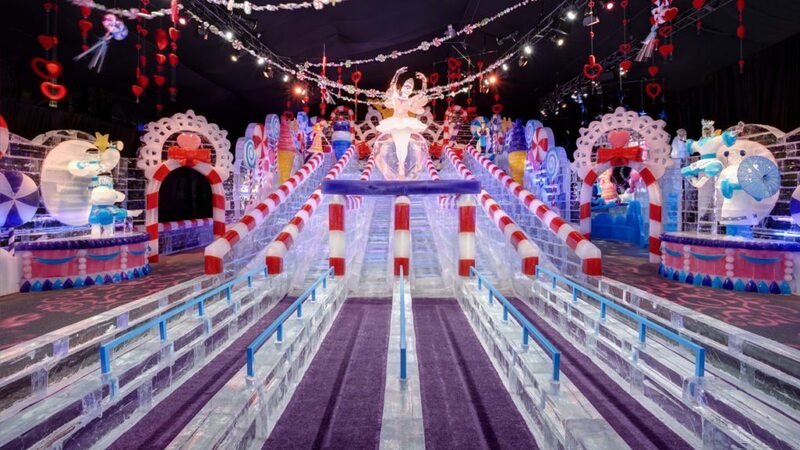 Explore through over two million pounds of hand-carved ice sculptures and two-story-tall ice slides. Join in on this celebration of cultures featuring holiday scenes, and travel to the North Pole to see Santa and his elves. Stop by the Frostbite Factory where you’ll see our artisans from Harbin, China carving ice LIVE. Sculptors from Harbin are flown in and begin working in October with 30 days of continuous carving. The sculptors make all of their ice carving materials themselves and many having over a decade of experience. The ice artisans are internationally known for their creative, intricate, and detailed sculptures. The seasonal event is from November 21st through January 7th. While on vacation in Florida, check out these larger than life ice sculptures for a truly unique vacation. Contact us for vacation packages and reservations!